Pierre Paris was originally from the Basque region of southern France. After immigrating to Canada, he located in Vancouver and opened a boot-making business in 1907 where he specialized in making logging boots for the booming lumber trade. The company eventually specialized in all forms of industrial footwear. Pierre’s sons, George and Roger, studied podiatry in Chicago to better understand how footwear can be made to fit better, and brought that knowledge with them when they returned to Vancouver to join the family business. 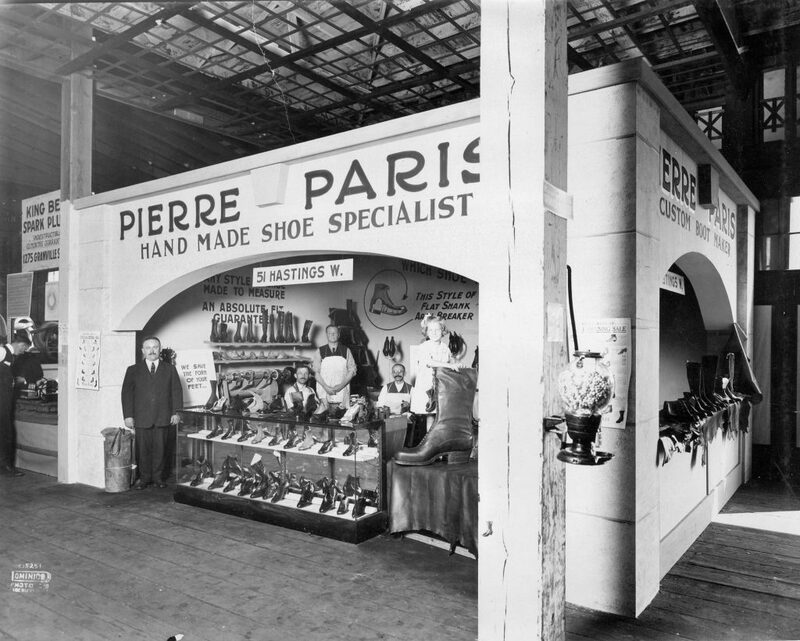 The company branched into creating made to order orthopaedic shoes and was eventually renamed Pierre Paris & Sons Ltd. In 1979, Roger’s son Stephen and daughter Renee assumed control of the company. With the dwindling resource-based economy in British Columbia, they decided to sell off the boot-making business to former rival firm Dayton boots, and instead concentrate on the orthotics side of the business. Paris Orthotics Ltd., opened in the early 1980s and is now one of Canada’s largest manufacturers of custom made prescription orthoses.